We all need to be practical sometimes, right? 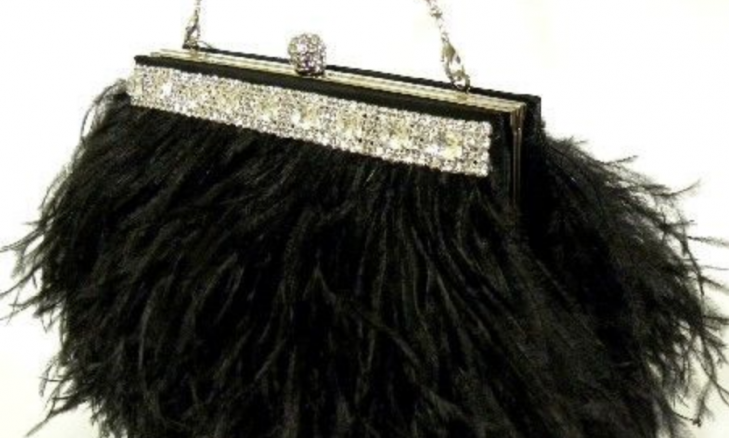 Why not grab a clutch surrounded in ostrich feathers for your next date night? Or if you’re the type of girl who has to shove everything into her bag, find a full-sized purse! It can either be covered in feathers or decorated along the trim of the opening of the bag, whatever strikes your fancy while you’re shopping for your next carry-all accessory. 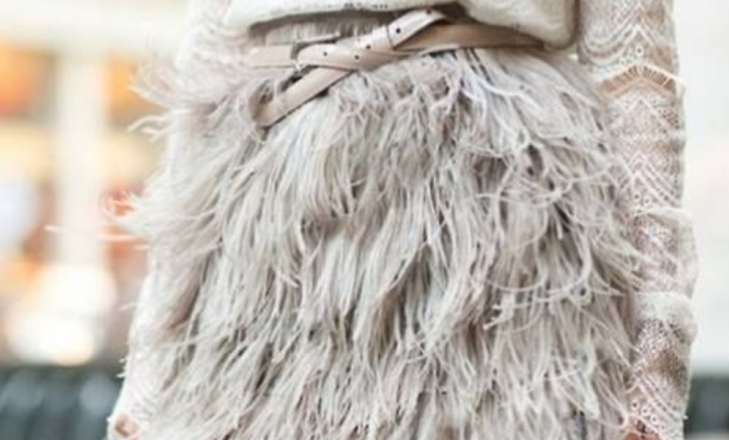 Get fun and flirty with an ostrich feather skirt, recently made popular by the new fashion trends for 2019. This is a great piece to have in your wardrobe because it can be dressed up or down. Not only is it eye-catching, but it goes great with a cashmere sweater or a blazer. From sleek heels with feathers attached from Louis Vuitton to magical KP Collections from Katy Perry, you might want to grab a couple pairs before feathered shoes go out of style. Wear them out for a coffee date with your bestie or in the office if you need a fun pick me up. Choose them in the sleek black and cream look like in the picture above, or find something that’s bright neon pink! Probably one of the oldest feather accessories in existence, adding a feather to your hair can make you feel chic boho or whimsical without much effort. You can either tie one feather (like in the picture above) or get some clips that have feathers attached to them. Wearing them as an accessory this way might seem more natural if you don’t like the other ways the trend has been gaining popularity. This playful accessory will dance on your neck and is sure to catch some attention with a messy updo. 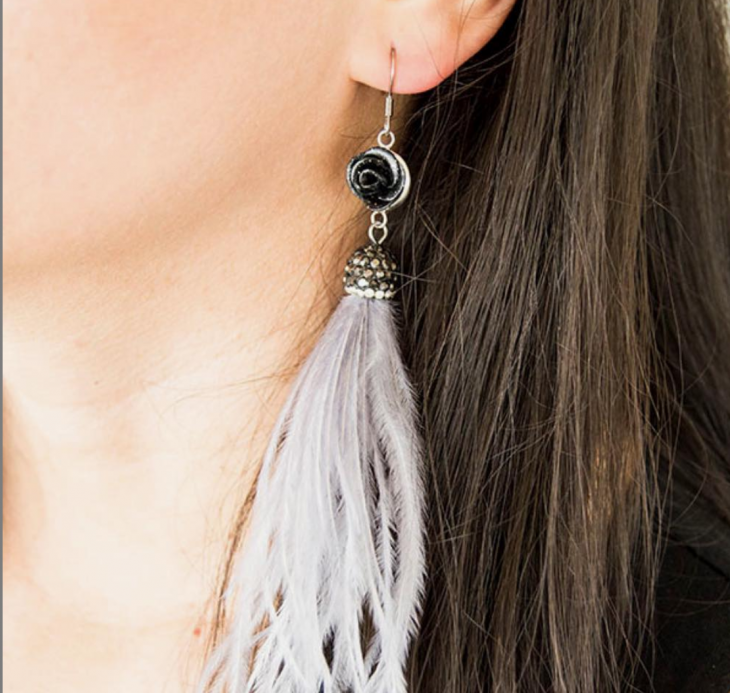 You can choose feather earrings with a few feathers dangling at the bottom, find a set that has multiple colors, or one single feather to float around your neck if that’s more your style. Earrings are another great simple statement if you don’t want to get crazy with feather coats or skirts. Do you plan on getting fun and flirty with this new fashion trend? Let us know in the comments below!